1. 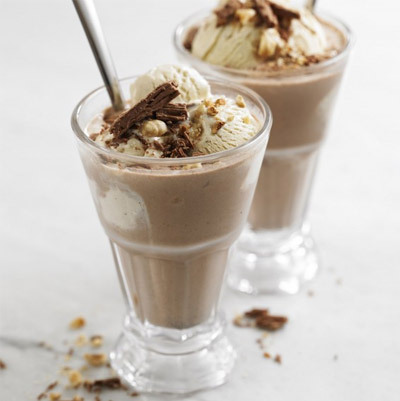 In a large, tall glass combine the ice cream, Nutella and milk with a stick blender until smooth and thick. 2. Float a scoop of ice cream on top and scatter with the crumbled chocolate and chopped nuts.